This year's event used lashings of lasers and buzz to underline its belief that 'nothing normal ever changed a damn thing'. This year’s Slush was characterised by lasers, politicians, royalty, entrepreneurs and a healthy dose of optimism. 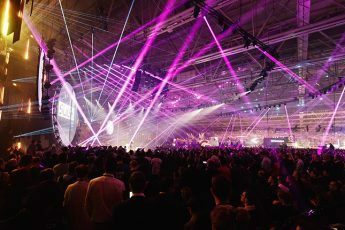 Over the past decade, Slush has developed from a tiny gathering of young entrepreneurs to the hottest high-tech startup conference in the Nordic region. It is the place to be when its soggy and dark outside to make deals and discover what is happening in technology. Here are five exciting things we came across. The Finnish games scene has been thriving for a long time, but it has been characterised by giants Rovio and Supercell and a host of tiny players. Now, finally, it has matured with a group of successful mid-sized companies which have listed on the stock market, including Next Games, Remedy Entertainment and Nitro Games (not to mention Rovio itself, which also went public). This is also good news for the Finnish and Nordic capital markets. Slush has always been about entrepreneurship and innovation, and this is attracting big names. 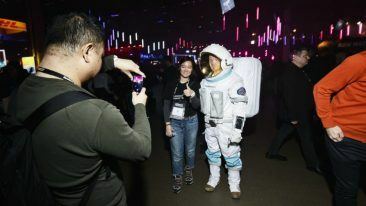 Some multinationals were at Slush to show off their tech, like Nokia and Tesla, but many were trying to meet new potential startup partners, such as Wärtsilä and Airbus. Many countries had a presence at Slush as well, from neighbours like Sweden and Estonia, to more-distant lands of Italy and South Korea. Even royals were interested: both Sweden’s Prince Daniel and Britain’s Prince William managed to stop by and see what’s doing. Finland has gained global recognition for its mobile communications and gaming. Yet today the innovation sphere is much more diverse. Some of the startups in this year’s pitching finals were automation company Selko, blockchain specialist Diwala and industrial ultrasound experts Altum Technologies – the latter eventually winning Slush100. Meanwhile, Oura Health’s new ring was billed as “the most advanced wearable in the world”, cementing Finnish companies’ position at the forefront of healthtech. The circular economy and cleantech is also brimming with great things in Finland, characterised by innovations such as Fazer’s cricket-infused bread. Being as the global perception is that Finns are a humble lot, the Slush organisers decided to recruit all of the international guests at the event to brag for us instead. Thus the hashtag #BragForFinland was born. Social media exploded with praise for Finland’s social equity, quality of life and innovations. It didn’t hurt that Finland’s 100th anniversary of independence came just after the event, so even some Finns may have found themselves swelling every so slightly with praise too. Fancy more Slush 2017? Catch up on our coverage here.